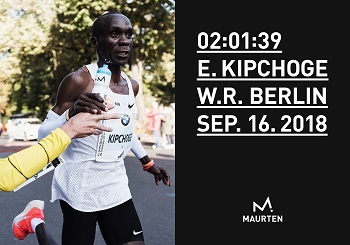 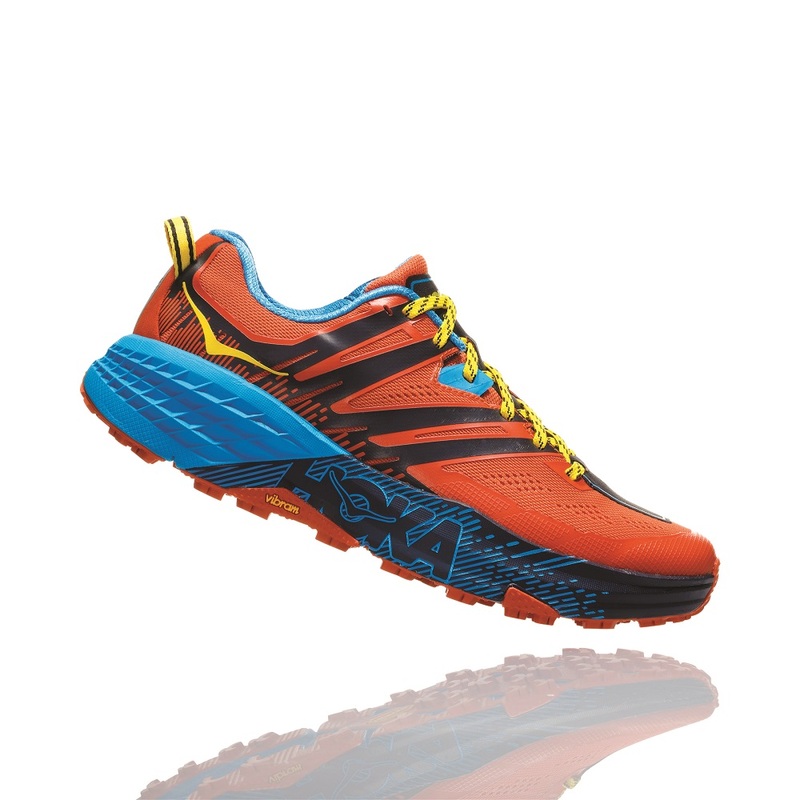 Named for Karl Meltzer aka “The Speedgoat”, who holds the record for the most 100-mile trail race wins and epitomises the “go everywhere, run everything” attitude, this shoe is designed to attack all kinds of technical trail. 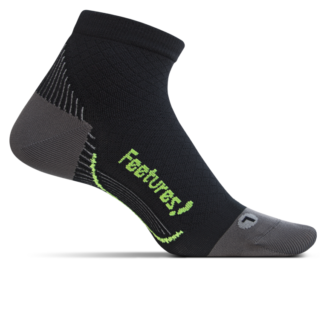 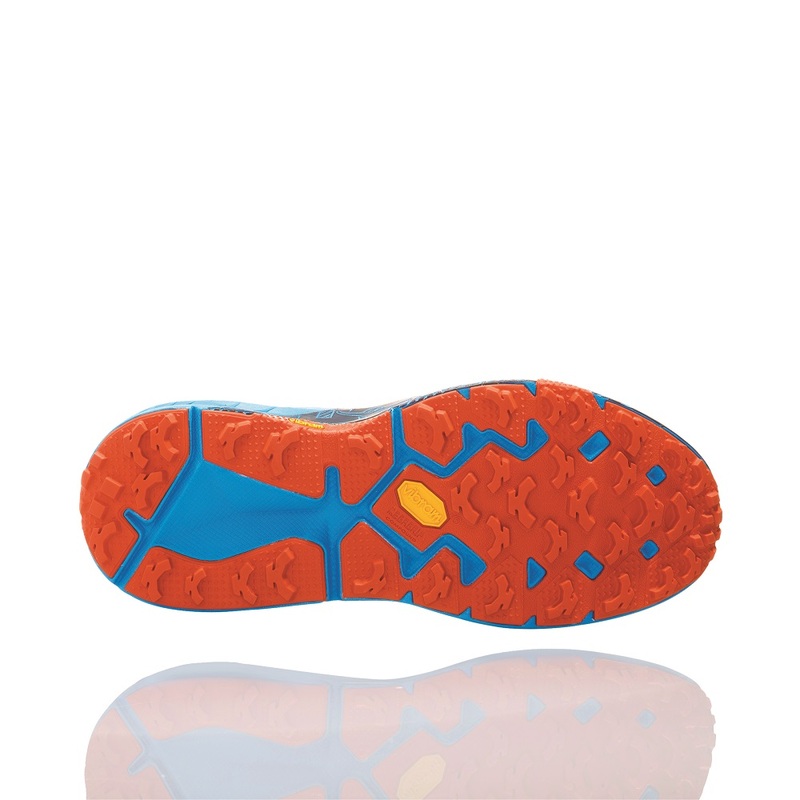 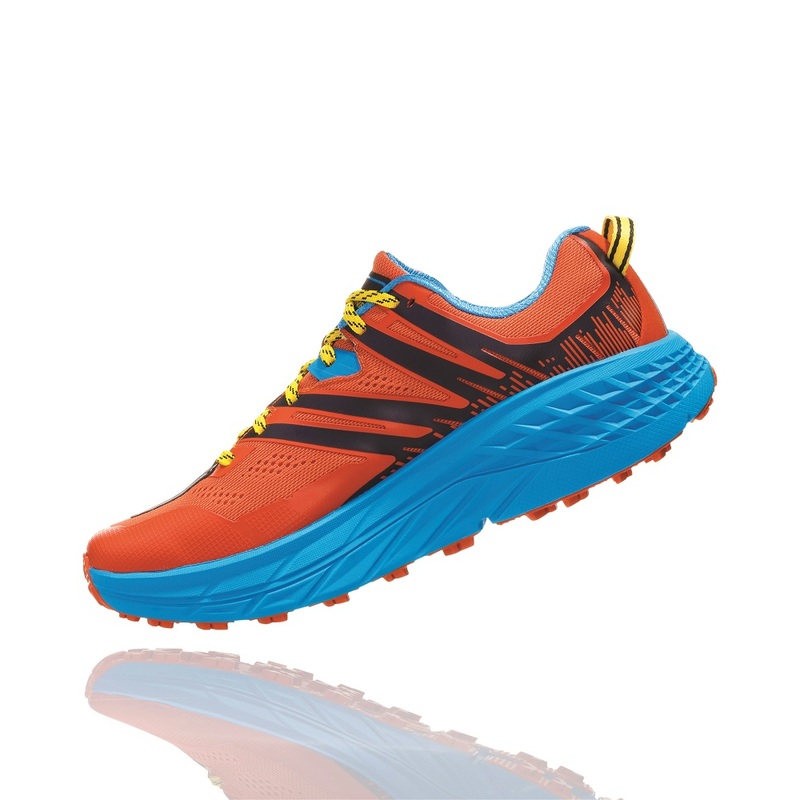 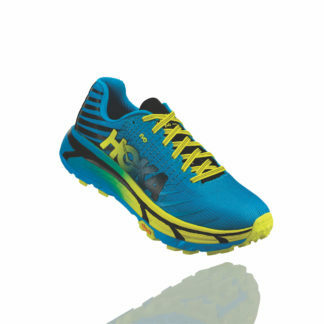 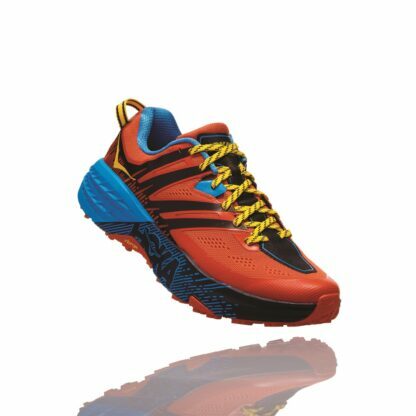 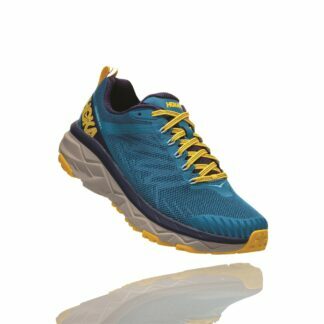 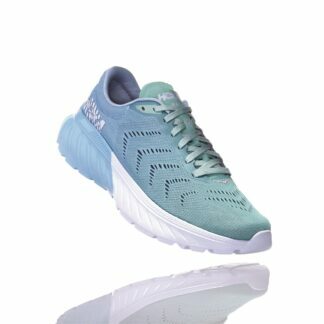 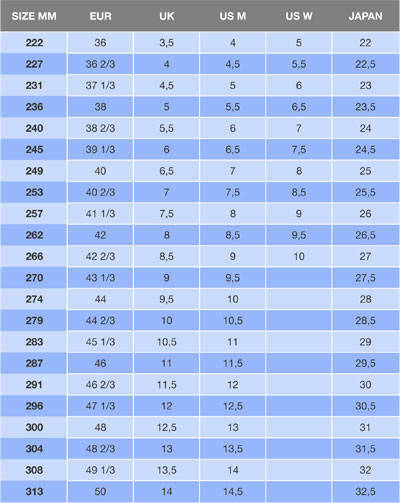 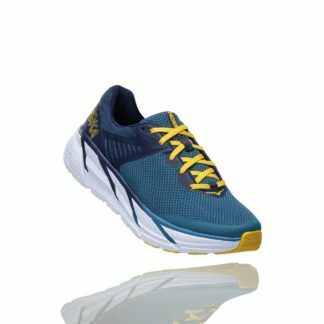 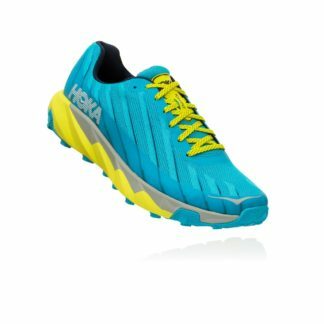 With that in mind, Hoka One One further improved the fit, stability and durability of the Speedgoat 3. 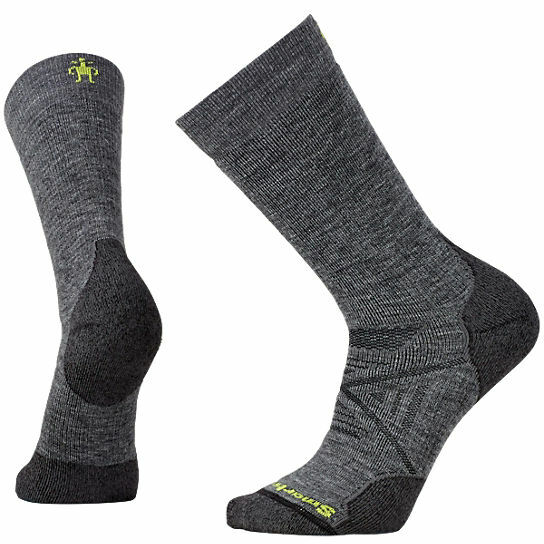 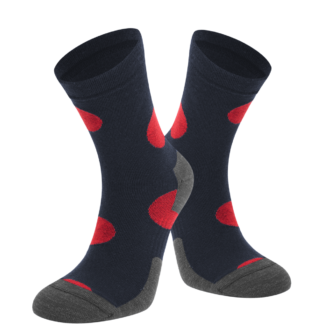 The wider midsole and toe box of Speedgoat 2 were well received as were the more aggressive Vibram® MegagGrip lugs, which hold up to all kinds of rugged terrain. 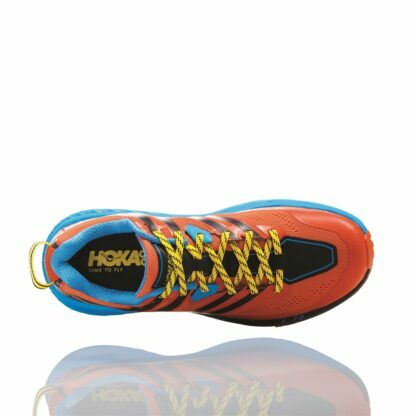 With the Speedgoat 3, Hoka added further heel support and midfoot lockdown in the upper as well as “seatbelt” support on each side. 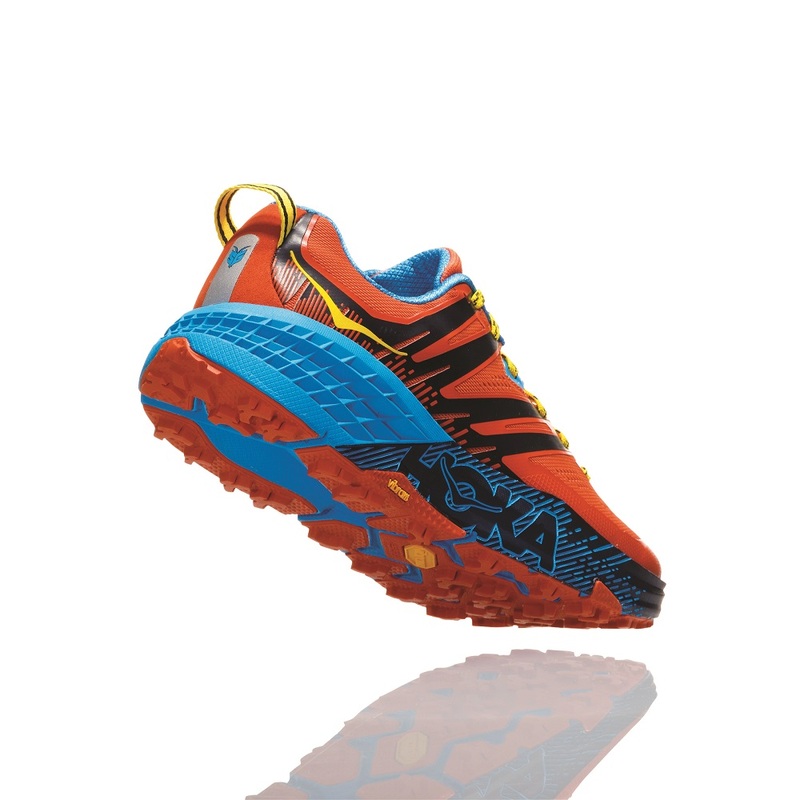 It’s a combo that creates a protective cradle, which we believe makes the Speedgoat 3 the fastest, toughest trail running shoe out there.